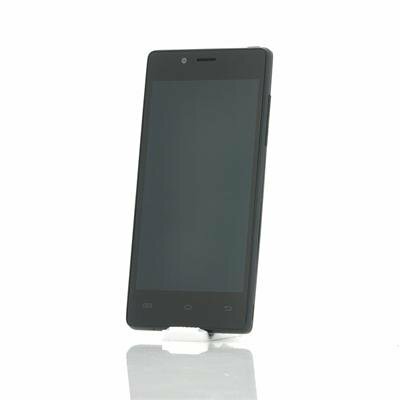 Successfully Added EBEST Z5 Ultra-Thin Quad Core Android Phone - 4.5 Inch QHD Screen, 1.2GHz CPU, 8MP Camera (Black) to your Shopping Cart. Ultra-Thin Quad Core Android Phone with 4.5 Inch QHD Screen, 1.2GHz CPU, 8MP Camera and more. Quad core power for a budget price. The EBEST Z5 has landed at Chinavasion! This ultra thin phone measures only 7.9mm thick and weighs a mere 122 gram. But being thin doesn’t mean the Z5 isn’t packing any power. A blazing 1.2GHz Quad Core CPU is housed under the hood of this phone and provides an ultimate user experience when browsing and multitasking. Get more tasks done in lesser time. On top of that, a gorgeous 4.5 Inch QHD screen stretches almost from edge to edge with only 2.8mm between the screen and the frame. 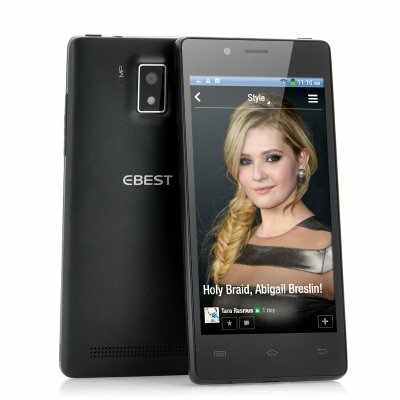 Offered at an unbeatable wholesale price, the EBEST Z5 is a true bargain when looking at what you get in return. Not only do you get extremely solid hardware, the Z5 also comes with Android 4.2 pre-installed, giving you access to a world of apps, games, books, music and movies. Furthermore, an 8MP rear camera will be at your disposal, shooting ultra sharp pictures and making you forget about your portable digital camera. A 5MP camera is installed in the front for those selfie lovers and video chatters. Now in stock, the EBEST Z5 can be shipped out within one working day and comes with a 12 months warranty. Brought to you by the leader in wholesale Android Phones, Chinavasion. Please not the middle button between the volume + and volume - buttons can not be used.